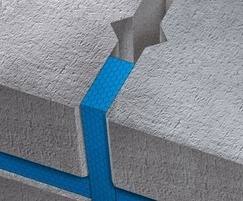 ISO-BLOCO 600 "PREMIUM EDITION" is an EnEV-compliant joint seal that has proven itself with regard to weather resistance, thermal and acoustic insulation, moisture protection, fire properties, joint movement and a positive room climate. 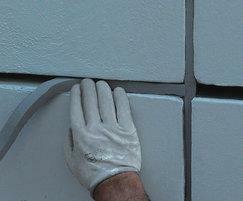 It remains fully functional, even under severe stresses and is ideal for the secure sealing of facade joints in both renovation and new construction projects. 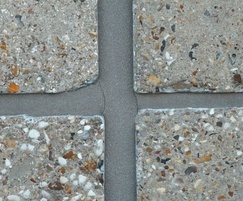 Incorporating fire resistant qualities, the versatile ISO-BLOCO 600 "PREMIUM EDITION" can be widely used to provide simple, quick and effective gap seals to accommodate expansion and movement as well as for weather tightness, plus thermal and acoustic insulation, while still remaining permeable to trapped water and water vapour – similar to a flexible breathable style material for the building facade. A pre-compressed, vapour-permeable joint sealing tape, ISO-BLOCO 600 "PREMIUM EDITION" fulfills the stringent requirements of DIN EN 18542, version 2009. As an energy-saving building seal, ISO-BLOCO 600 "PREMIUM EDITION" complies with the increased requirements of the German energy-saving standard EnEV as well as other European (including UK) building standards and regulations. Quick and easy-to-apply, self-adhesive ISO-BLOCO 600 "PREMIUM EDITION" tapes can be used to seal joints ranging in width from 1mm to 42mm. 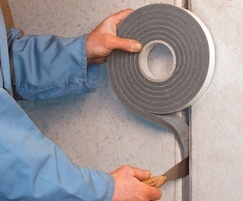 Product can accommodate a temperature range of -30° to +90° and is impermeable to driving rain making them some of the best performing tapes in their class. Once installed, a building is better protected from elemental factors like wind, dust and moisture ingress by accommodating the changes in structural movement caused by environmental, cyclical and settlement factors.